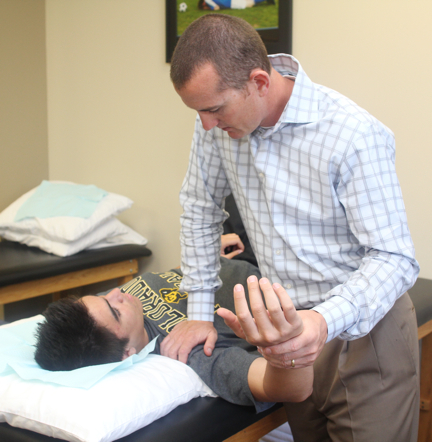 At Progressive Physical Therapy and Rehabilitation our specialties set us apart. We are know for successfully treating difficult cases. In fact, may of our patients seek our care after having sought treatment at other facilities. We pride ourselves on providing personalized programs using the latest evidence-based research. Every person and each situation is unique. We want to get to know you and determine your goals and needs in order to develop an appropriate plan of action. We listen to you and welcome your active participation in your treatment plan. We welcome your questions. We are eager to help you reduce pain and restore motion and function getting you back in action in the quickest and safest timeframe possible. I had back surgery and came to Progressive post operative. I was very ambivalent to move and do physical therapy. They made me feel comfortable from the start. I have been with Progressive for 4 years now. Kim is great, knowledgeable and committed to her patients. Soon after a total knee replacement, I was diagnosed with breast cancer and developed Lymphedema. Kim and her crew were there for me and rehabbed me through my lymphedema and reconstructive surgery. I feel fortunate to have Kim and the PPT family to help me get through this time of my life. My neurologist highly recommended PPT about 3 years ago and now I will never go anywhere else for rehab, even though there are closer facilities. Efficiency abounds through out. Over the past 45 years I have experienced several rehab facilities and this surpasses all the others in quality of care and knowledge of the human body. Not only is Kim an excellent physical therapist, she is also an expert in rehabilitating head and neck cancer patients. Post treatment rehabilitation is critical for patients to recover lost function due to radiation or surgery. Kim is one of the few therapists that treat this and I am extremely satisfied with what she did for me and my condition. I highly recommend her.